Your financial situation shouldn’t ever be stopping you from achieving the beautiful and healthy smile that you desire. 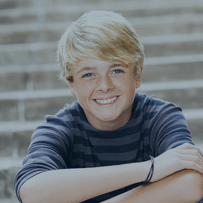 This is why we at Corbridge Orthodontics don’t only strive to provide high-quality Little Elm and Frisco orthodontics – we want to make sure that our treatments are affordable and attainable as well. As your Little Elm and Frisco, Texas orthodontics team, we’re happy to accommodate our patients’ financial needs by offering 0% in-house financing options with a small down payment, allowing your treatment to be much more affordable. Our payment options will let you pay over a longer period of time so that you’ll still be able to receive the braces, Invisalign, or other orthodontic treatment that you deserve without having to compromise your financial situation. At Corbridge Orthodontics, we’re a preferred provider for most major insurance carriers. If your insurance covers orthodontic treatment, you’ll receive the benefit of reduced personal costs. Having said that, not all insurance will cover orthodontics in addition to standard dental care. Because insurance policies will vary from person-to-person, we’ll gladly review your insurance policy before treatment and determine the best course of action in order to save you some money. Once your orthodontic treatment has begun, we’ll then file claims on your behalf. To make this insurance filing as efficient as possible, we’ll ask that you fill out our insurance questionnaire before your visit with us. Please note that if your benefits change during the course of your treatment, the financially responsible party is accountable for all charges. Contact Your Little Elm and Frisco Orthodontist Today! If you have any further questions about our insurance policy, please don’t hesitate to contact us and let us know. We at Corbridge Orthodontics are glad to help you in any way that we can. If you’d like to schedule an appointment with your Little Elm and Frisco, Texas orthodontist, we encourage you to fill out our appointment request form. We’re looking forward to hearing from you!